With competition for job vacancies more competitive than ever, candidates are looking for more innovative ways of making their CV stand out from others. One of these that we were recently asked about was the use of QR codes. A QR (Quick Response) code is a small square bar-code that digitally store a range of information, including website URLs and text. The QR code can then be read by mobile phones using software that will display the data contained within the code. QR codes originated from Japan where a subsidiary of Toyota developed the technology to track car parts. How can I generate a QR code? There are numerous websites that allow you to create a QR code with a URL, message, SMS, email and more. All QR code generators are free of charge. 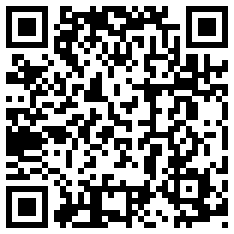 If you have a phone with the software to scan QR codes, give it a try using the image at the top of the article. Most modern smartphones with cameras allow you to take a photo of the code which is then automatically converted. There are also numerous applications available for you to download. How can I use a QR code on a CV? A CV is a personal marketing tool. Anything you can do that makes your CV jump out at a recruiter can only be a positive! We recently reviewed a CV showing a QR code next to their name. Once scanned, this took us to the candidate’s personal ‘recruitment blog’, including a more in-depth version of their CV. You could also consider using a QR code to contain all your contact details rather than putting them in your CV. You could also create one to contain your LinkedIn profile or a YouTube video where you talk to the recruiter about why they should interview you…the possibilities are endless! Even if a recruiter has never heard of, or even seen a QR code, it can often work as a conversation starter! If you’re applying for jobs in IT / social media etc., QR codes can help make you appear tech ‘savvy’! Are you a recruiter who has seen a QR code or a candidate who has used one? We’d love to hear from you!